One unique aspect of LCC is that for most students, being part of our community is literally a “cradle to grave” experience. Whether our students’ “cradle” begins in kindergarten or grade 7, by the time they graduate, they will have had made many lifelong friends and they will have shared many special experiences together – both in the classroom and beyond in our co-curricular programmes. The friendships and connections to school will also live well beyond graduation. 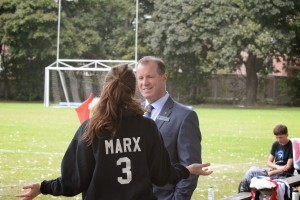 As Headmaster, I connect frequently with LCC alumni across Canada, the United States and the UK. You might wonder why we bother. We see the practical value of our “cradle-to-grave” approach and the bonding between grads that develops many years beyond graduation. In addition to me, committed people in our Advancement Office are constantly in touch with grads. Mr. LLano is our “Director of Alumni Engagement,” and he is assisted by our Alumni Ambassador and former Assistant Head, Vic Badian. Another former Assistant Head, Mrs. Gendron is also in the mix, reaching out to young women, to help solidify their valuable connections to the school. Every fall our annual alumni reunion/homecoming dinner brings together anniversary classes, celebrating 10 to 50 years. We offer alumni special hockey and basketball leagues on campus throughout the winter and sponsor a myriad of special social events that keep a lot of alumni connected. We also have an extensive alumni outreach programme in cities across Canada, the United States and England. We recently hosted receptions in New York, Boston and Ottawa. I am pleased to report that our alumni network is strong, with very healthy turnouts in each city. It is very satisfying to see committed alumni from as far back as the 40s and 50s alongside much younger grads who are studying at university or who have recently entered the workforce, with all the challenges that brings. The older alumni come to these events determined to seek out young LCC grads who they want to mentor and assist. 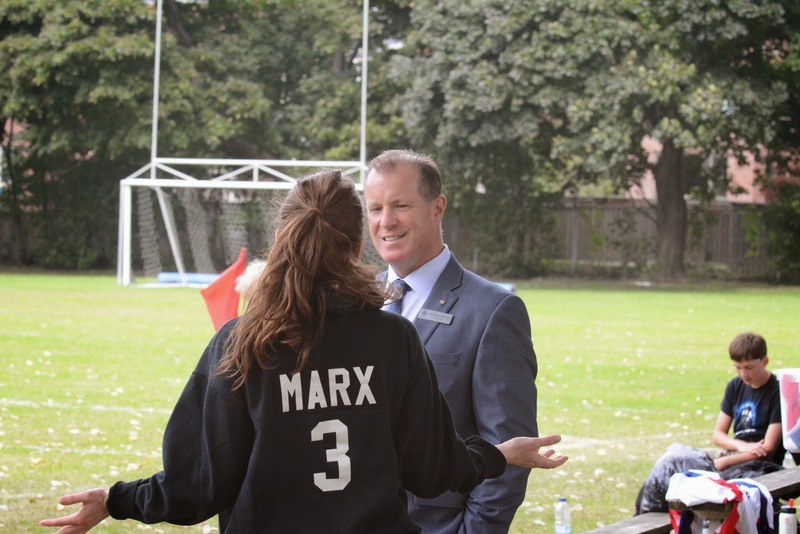 The younger graduates appreciate the opportunity for guidance and support in navigating their new careers under the common bond of sharing learning experiences at the same school – a lifetime bond. In cities like New York, all of the young LCC grads are attempting to come to terms with a very competitive work environment and the reality of living in small and expensive shoebox apartments. So personal connections, guidance and career advice do matter. I am pleased to say that the courage, creativity and energy of our younger alumni are palpable at all LCC receptions. We also recently held our annual Career Day and many LCC alumni came to speak to students about their studies or careers and offer help as mentors. A woman from Youth Employment Services Montreal opened Career Day by outlining popular trends in jobs – and she repeated frequently that our students need to be proactive in seeking personal “coffee meetings” with people in fields of interest to them. We understand that having the courage to do that can be a bit daunting, so that’s why our alumni office is there to support and develop personal connections between students, young graduates and a lot of willing established LCC alumni mentors who actually want to have coffee, tea and productive dialogue. Last weekend was a wonderful display of the strength of community at LCC. We hosted dinner for more than 200 alumni on Friday evening, followed by an upbeat open house Saturday morning for prospective students. Faculty, staff, students and parent volunteers showed off our facilities and programmes throughout the morning. In the afternoon, alumni played soccer and members of the 50th Reunion class toured new facilities, reminisced and shared lunch on campus. Essentially, all of our key school constituents gathered and collaborated with pride to present our school to visitors. Every September we host our alumni LIONfest evening with a focus on reunion classes from 10 to 50 years. All alumni were welcome – and we were particularly excited to have two gentlemen here for their 72nd class reunion. Regardless of age, our graduates affirmed that their LCC experience has provided them with important foundations and friendships that have remained meaningful long after graduation. Each class has a mix of people living in Montreal and elsewhere. However, it is amazing how strong the bonds remain, despite time, distance, and shifting dynamics brought on by marriages, families and careers. For our older alumni, their school is still at 4090 Royal–the same address as when they attended. However, with our newer facilities, especially those built since 2000, many felt today’s LCC was quite unrecognizable The alumni were very impressed with facility and programme development and openly encouraged us to continue to improve, while holding true to timeless values and high standards. So if the alumni experience was about reconnecting, reflection and reminiscing, our open houses on Saturday morning, and again on Tuesday, were the opposite. They were about the future, about possibility, potential and the promise of tomorrow. We hosted hundreds of visitors and the school looked great. My thanks to faculty and staff who were here to describe programmes and answer endless questions. However a special thank you goes to all of our student “Ambassadors”. They were proud hosts who provided a warm welcome to our many guests and prospective LCC families. No matter how much preparation we adults make as teachers, staff and administrators, it is actually the students who leave the greatest impression on visitors. It is evident in their tone, level of enthusiasm, and knowledge of different school programmes and history. It is their sense of humour and keen involvement in a wide variety of school activities that leave a lasting impression. They are the difference-makers in telling the LCC story. I have had many mentors in my life who have taught me valuable lessons and skills. The significance of having a mentor and the impact they can have on a mentee is something I have experienced first hand. Beyond my personal relationships with close friends, teachers, or relatives, I’ve had the chance to work with some incredible people in our community. These individuals have guided me in my efforts to pursue a specific industry. In the summer prior to my graduating year, I interned at the Michael Kors Canadian headquarters. This experience was both enlightening and challenging. Given my inherent passion for fashion, I saw this internship as a great opportunity from which I had to take full advantage. While even observing simple office activities was a learning experience in itself, I was lucky enough to test the waters in most of the departments. To my delight, this internship was not just a job to fill my empty schedule in August – on the contrary, and my fervor was only further strengthened. This summer, I am excited to start my next internship in New York City’s famed fashion industry. Given the incredible opportunities I have been given, and assuming my position as Head Girl, I wanted to implement a project that could help my peers in the same way I have been helped. This is a project that could help them not only today, but also tomorrow. Based on my personal experiences, I felt it was important to connect our current students and young alumni with our impressive roster of alumni and current LCC parents with the hopes of offering internship and job opportunities. As luck would have it, Mr. LLano (Director of Development and Alumni Engagement) along with the LCC Alumni Association, already had similar objectives in mind. With an exclusive “LCC Alumni” LinkedIn page, new graduates and past graduates will have the opportunity to connect and share or seek job and internship opportunities. As grade 10 and 11 students, joining a LinkedIn page may seem like a useless task. However, the opportunities that are “linked” with this program have the potential to open many doors for you down the road. Whether you log in for the first time next summer, after your undergrad, or even after your masters, the members of this page will soon be posting employment openings looking for LCC graduates as prospective candidates. We encourage creating an account with LinkedIn and joining the alumni page as LinkedIn has the power to introduce our students and young alumni to various industries and professions that are already being managed by LCC alumni. On November 11, 2011, three LCC students and I joined over 250 students that came from coast to coast, in Ottawa for the Remembrance Day ceremony. This trip was organized by Operation Veteran, which was founded by an LCC graduate, Dr. Paul Kavanagh ’70. Operation Veteran ensures that all veterans who visit the Canadian War Museum are able to get a free meal at the cafeteria. This cause is supported by private donors and student fundraising initiatives which run throughout the year, and is an ever-expanding project. We left for Ottawa at 6:30 am. When we arrived, all the students went to the Canada Room of the Laurier Building, where Dr. Kavanagh gave a short talk about Operation Veteran. We then went outside for the ceremony, which was amazing. Governor General David Johnston and Prime Minister Stephen Harper were there, along with a host of other government and military officials. It seemed like half the people that I saw were in uniform! There was a 21-gun salute, and bagpipes and a bugle were played. There was also a choir that sang during the laying of the wreaths at the National War Memorial. There must have been 30 groups that placed wreaths on the monument. There were also two fighter jets that flew overhead and a formation of helicopters. The speeches were especially moving because, every minute or two, a gun would go off. It was a poignant reminder of the sacrifices that we were remembering. After the ceremony, we placed our poppies on the tomb of the Unknown Soldier, which is part of the War Memorial. Afterwards, we made our way to the Canadian War Museum, which was a really great experience. I discovered the meaning of a couple of the medals that were won by my great-uncles. There were also some really memorable exhibits. I walked through a replica of a trench and touched a chunk of the Berlin Wall! 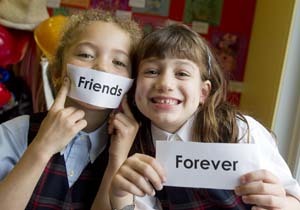 Friendships and feeling connected: among the most important aspects of the school experience and children rely heavily on their close friends during these formative years. In fact, sociologists note that the influence of peers can be even stronger than family during the teen years. We understand the importance of students developing close relationships. It’s very normal for them to depend on friends for fun, guidance, advice, and even inspiration. I am amazed by how LCC friendships tend to grow, blossom and carry on. In fact, endurance tends to be a notable quality of LCC friendships. They begin with sharing classroom experiences and a host of activities. Our students enjoy countless hours of social time together and share incredible stories about competitions, tournaments, and memorable field trips. What we witness in our graduates—“young,” “old” and somewhere “in between”—is that experiences as teenagers at LCC are more than formative; they often define core friendships that last a lifetime. In fact, our two oldest living graduates are going out of their way to attend this event as they both feel a strong connection to LCC. Both 96 years of age and from the Class of 1932, they are excited about returning to campus, to see “their school.” One is even travelling from as far away as Vancouver with his son, who is also an alumnus.